Podgorica, (MINA-BUSINESS) – Governor of the Central Bank (CBCG) Radoje Zugic has said that the indicators for the banking system saw positive performances, adding that they are characterized by high liquidity and steady decrease in non-performing loans. He said at a meeting with representatives of the International Monetary Fund (IMF) and the World Bank (WB) organized during their spring meeting, that the CBCG would focus on the institutional development, based on building capacities for prevention of money laundering and terrorism financing, implementation of the valuation of banks’ assets, and improvement of the payment system. 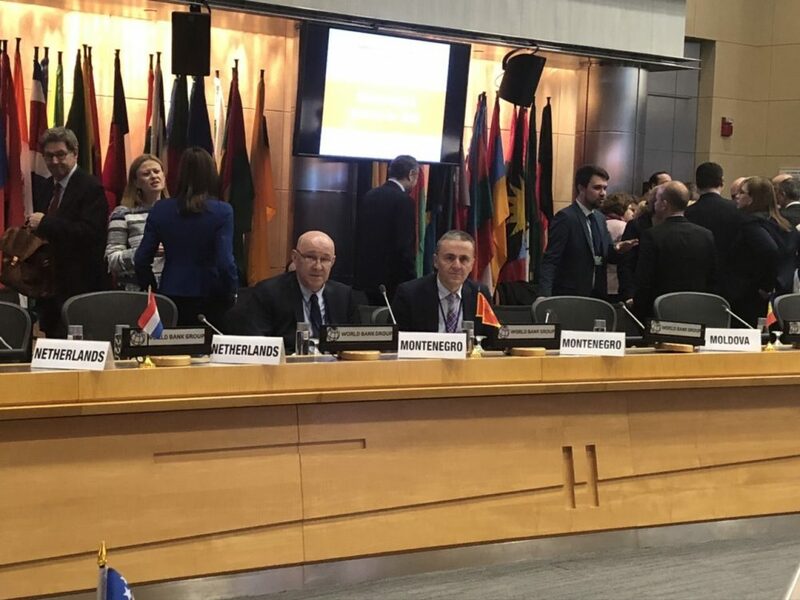 A Montenegrin delegation, led by Zugic and Minister of Finance Darko Radunovic, is participating in the spring meeting of the IMF and the WB. According to a press release issued by the CBCG and the Ministry of Finance, members of the delegation met with senior officials of the IMF and the WB and representatives of international banking institutions, international investors and rating agencies. Radunovic presented the results related to the reduction of budget deficit in 2018 and underlined the commitment to fiscal consolidation measures.